From episode 9 of the newer series of Blue Exorcist. Nothing particularly exciting about it, though. It appears to be over the best part of two months since I’ve posted anything. Whoops. I’d feel guiltier about it, but I’ve been rather busy and preoccupied the last few months with an assortment of things I probably shouldn’t talk about. Even then, there’s so much in the way of English language commentary regarding anime from folks who are way more knowledgeable or better informed that there generally feels like there’s little worthwhile for me to add to the conversation anyway, so whatever. I’m glad to have folks with more time and/or linguistic talent writing stuff to read, honestly. 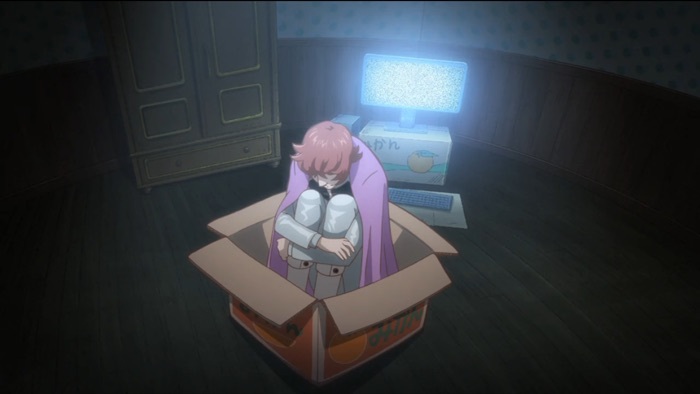 Still, there’s Mikan Boxes to continue cataloguing. 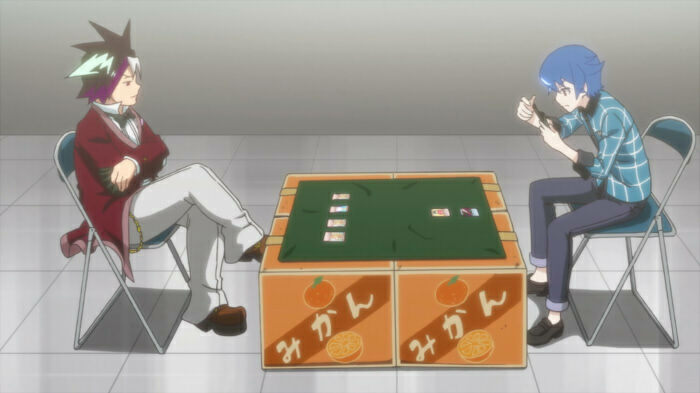 From this weeks episode (episode 9) of Akiba’s Trip (or AkibasTrip), used as a make-shift card gaming table. I like the AkibasTrip anime, though admittedly this is a statement coming from someone who hasn’t played the game which shares it’s name, and has little interest in actually doing so. I gather this qualifier is necessary, as aside from the soft Akihabara tourism aspect and the stripping of clothes being necessary to defeat the villains, the anime bares little resemblance to it’s namesake in terms of characters and plot. From Episode 11 of Magical Girl Raising Project, during Tama’s Token Inspirational/Tragic Backstory Reveal segment. 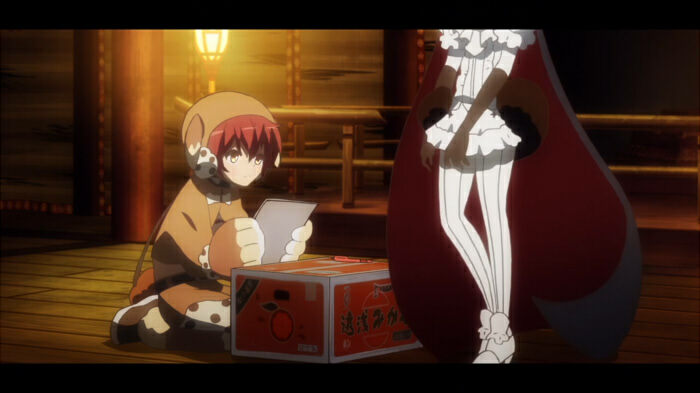 Rather uncharacteristically didn’t even notice this until I was scrubbing around for a screengrab yesterday, figuring I might use something from the scene immediately before this, but I figured the Nemurin shot was ultimately funnier given the significance of the scene versus how adorable it looks on the surface. Anyway, I had my fill in regards to writing about the show in yesterdays post, so I’ve nothing more to say at this point. From the opening sequence to Classicaloid – I gather thats Chopin sitting in it. 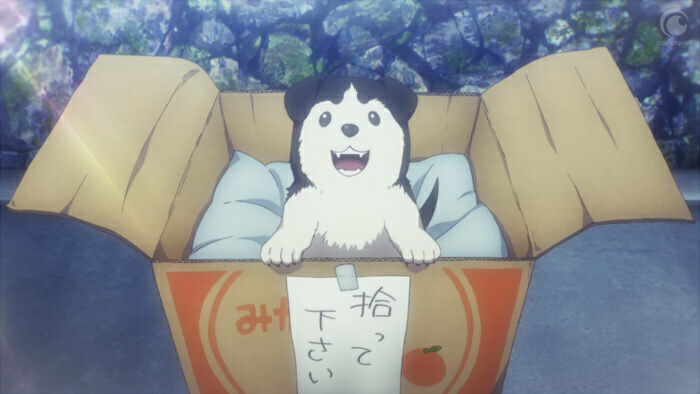 I gather he may also appear rather more prominently in the third episode, but I’m woefully behind on my TV anime right now thanks the to sheer amount of quality content made available on a weekly basis, and the fact that I’ve been traveling these last few weeks. Admittedly, being behind on TV cartoons because you’ve spent the last two weekends sat in a cinema watching stuff like A Silent Voice, Your Name and Girls und Panzer is a pretty good problem to have, but, ironically, I’m kind of counting on the fact that I’m away for the weekend again this week to catch up on things, as at least this time I should find myself with plenty spare time on an evening with little energy for much else. That’s Tokyo Mirage Sessions “Sharp” FE, as in the musical notation – I’m just too lazy to figure out how to type that. 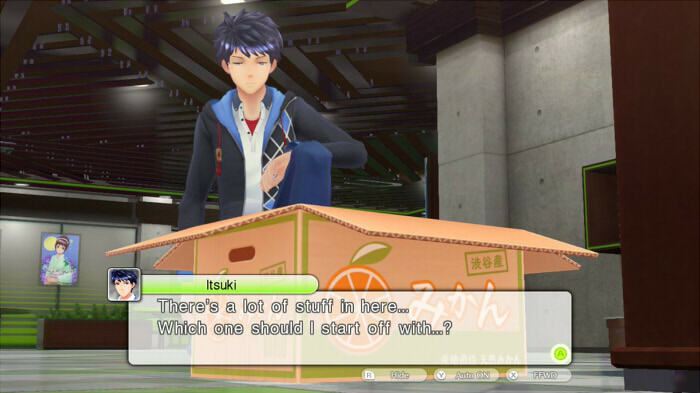 Tokyo Mirage Sessions #FE is that game that Nintendo initially announced as Shin Megami Tensei X Fire Emblem (where “X” is “Cross”, in this case), the game theoretically mashing together Atlus’s flagship RPG branding with Intelligence Systems Fire Emblem series of strategy games. This, of course, set alight expectations of some dark, gritty psychologically fraught low-fantasy epic amongst those who claim Japanese RPGs are now “Too Anime” (which is pretty much just a catch-all for lazy criticism). They should probably have known a little better.